From the oil wells of Saudi Arabia to the Marcellus Shale natural gas fields of Pennsylvania, energy resources are strategic national assets. The imperative to increase energy independence efforts have led governments to focus on domestic energy supplies and alternative energy sources. 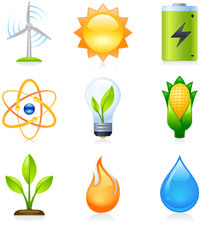 Although alternatives to oil such as natural gas, nuclear energy, biofuels, and renewable energy are attractive options, what effects do their production and use have on the environment? How does the need for energy affect national security both domestically and abroad?